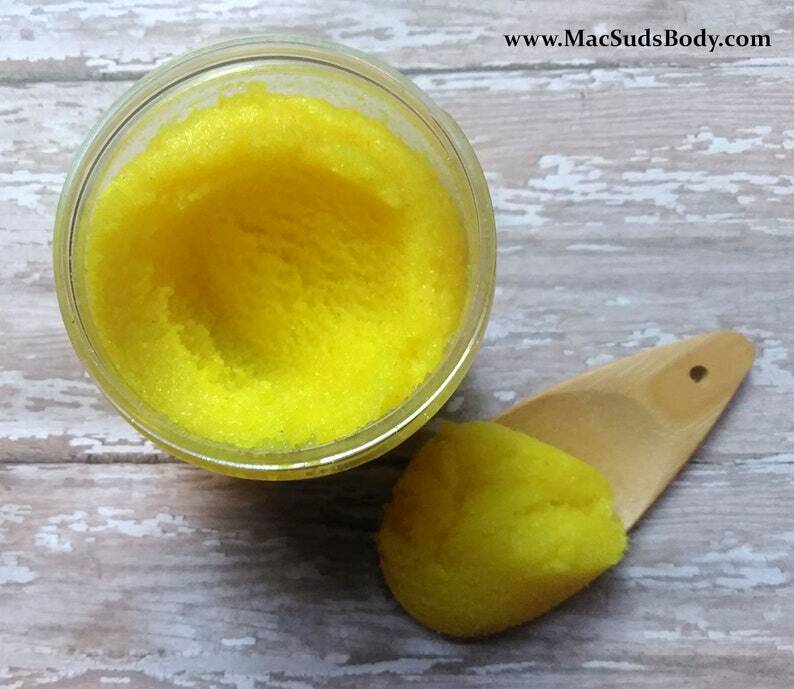 This Sugar Scrub was originally created for the face and then secondly for the body. It is 95% sugar and 5% sea salt with skin loving oils. As you message it in it gently exfoliates and melts. Leaving your face soft and smooth without scratching. This listing is for 8 ounces of emulsifying facial scrub, blended by hand in small batches with no SLS/SLES, parabens, propylene glycol, animal products, coconut oil or shea butter (for my sensitive customers). I whip my sugar scrub so it stays soft for easy use. I hand weigh each jar individually so you are sure to get 8+ ounces in each jar. ~ Sea Salt – a natural detoxifier, as the salt absorbs the toxins from the skin. Whipped sugar scrub has a thick texture that will leave your skin feeling smooth and soft as if you have applied lotion. A very small amount goes a long way. This emulsified sugar scrub is semisolid and filled to the brim with premium ingredients without the hassle of oily pooling at the top of the jar. You won’t have to hassle with stirring it each time you use it. The unique oil blend will melt into your skin while you exfoliate. Skin is left soft and moisturized. I love your work and your service is oustanding!!! Smells good, decent shipping speed. Overall great product! Seller is super helpful and ships FAST. I'll be back when I run out of this!